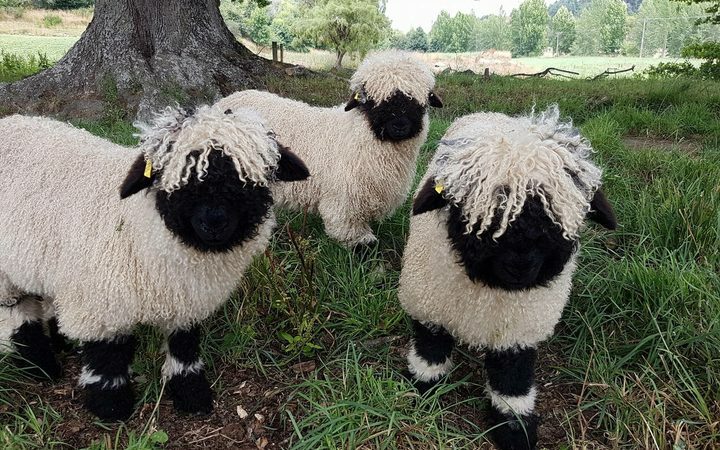 The Swiss Valais Blacknose, which are considered to be the "the cutest sheep in the world," have a black head and black knees, and a fluffy white fleece. 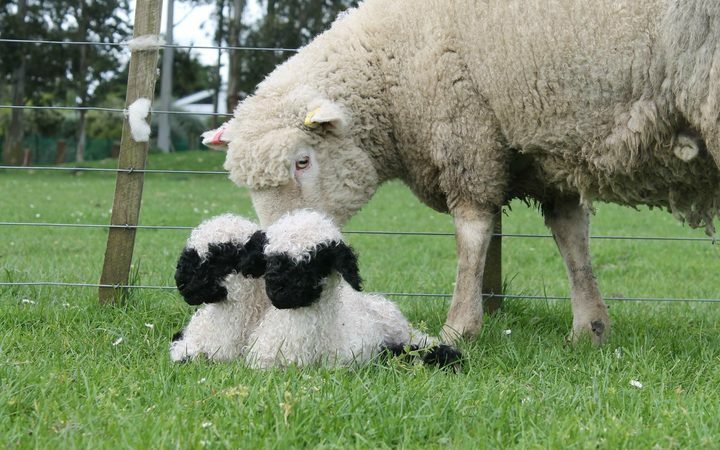 Wairarapa farmer Christine Reed, along with several business partners formed Valais Blacknose NZ and imported the breed as embryos from the UK about a year and a half ago. 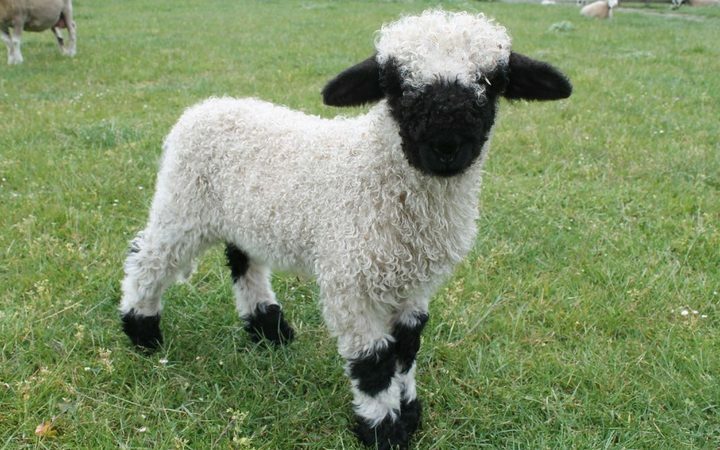 Ms Reed said before the venture she had never heard of the breed but having bred dorper sheep for a decade, she googled Valais Blacknose sheep to find the cutest sheep in the world peeking back. "If you were to imagine a poodle that was in fact a sheep ... they are the cutest thing on four legs," she said. Only a handful of farmers in New Zealand are breeding the Valais Blacknose and Ms Reed said they were now working on building up their flock. "We were lucky enough to work with some of the best breeders in the UK to get embryos into New Zealand," she said. "By the time we lamb this season we will have about 50 animals in the two flocks," she said. Ms Reed said they intended to sell the sheep to lifestyle block owners and other farmers who are looking to have something in their paddocks that has a bit of wow factor to it and was good with kids. "What we were really astounded by, when we got them on the ground, was their personalities, they're just like dogs, they're actually not like a sheep at all ... so they are very very inquisitive, very friendly ... the lambs will come up to you in the the paddock and climb all over you," she said.